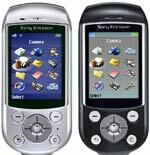 Sony Ericsson S700i is the European and therefore EDGE-free version of the S700 series. 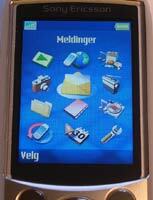 It is based on the third generation software series from Sony Ericsson. Whereas the T68/T226/T300 used the first generation software, T610/Z600/T630 used the second adding soft keys, the S700 uses the same third generation software that is used in the K700/K500 The latest firmware added tab navigation improving the user interface even more. This review will focus on the added S700i features differentiating it from the K700i. 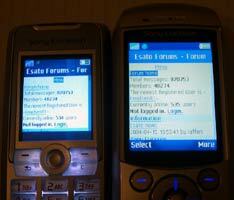 You might be interested in the Sony Ericsson S700 for various reasons. The most likely reason is the 1.3 mega-pixels camera and the large bright display perfectly capable of showing the pictures you have captured. It also has acceptable battery life considering the power needed to light up such a large screen. The two reasons I can think of that prevents you from being interested in the S700 is the price and the size of the device. It feels very compact and solid build but the depth is a little large compared to other models released late in 2004. Since the launch, we have seen the price of the S700i drop around 20% and it might drop even more when the S710a (EDGE and 850/1800/1900-band version) becomes available in web shops. The S710a is not released in Europe, but you should be able to find it in some online stores importing them from USA. The first thing that attracted my attention with the S700i was the huge display and the large size of the device. It has one of the best mobile phone displays I have ever seen. 262.000 colours certainly add some extra quality to the phone. The display itself is covered by a slightly larger glass of some unbreakable sort. I have used the phone daily for more than 10 weeks and there are no scratches on the display whatsoever. I usually tend to see trace of usage after just a couple of days in my pocket, but this has not happened with the S700i. Large and clear 262.000 colour display. Display in dark environment. K700i to the left, and S700i to the right. Sony Ericsson has tried to create a design completely out of the ordinary with the S700. They have until now only manufactured ordinary candy-bar and clamshell phone models. The swivel design is not totally new, but you can quickly distinguish the phone from most other phones available. The swivel can be opened both ways and must be closed the same way you opened it. Sony Ericsson promotes the S700 using three modes; Imaging style (camera), Media style (radio, mp3, game) and Phone style. My experience is that these three descriptions correspond with my daily usage. I do not need to open the swivel when I only want to use the radio, mp3 player or camera. I tend to bookmark the most used WAP pages so it is possible to browse the net using the swivel closed as well. The number keys are slightly inserted into the surface on the half part of the swivel making it a little difficult to feel the number keys. I understand that the keys are inserted to protect them when you close the lid, but I am still not very comfortable with it.